For a state that played an integral role in our country’s independence, Maryland has taken a puzzling stance on the rights guaranteed by the Second Amendment. The Star Spangled Banner was written just miles from the state capital in Annapolis, where lawmakers have passed some of the toughest gun laws in the country. These laws recently became even tougher this past year, and our state continues to be one of the few that requires its citizens to prove a legitimate need to legally carry a handgun. The tough laws and regulations are backed by even tougher criminal sanctions, and even first time offenders can find themselves facing criminal convictions and minimum mandatory jail sentences. The law that prohibits transporting a handgun is perhaps the harshest and most confusing of all. Out of state residents from such places as Virginia and Florida often fall victim to these unfair statute, which makes it illegal to drive with an unloaded gun anywhere in the vehicle. This includes areas inaccessible by the driver such as the trunk. The specific statute number is 4-203 of the weapons crimes section, and a quick look at the provisions can confuse even knowledgeable readers. Section 4-203 makes it illegal to wear, carry, or transport a handgun regardless of whether it is concealed or out in the open. There is a requirement that the defendant knows that he or she has the gun, but this is a rebuttable presumption. Meaning, the defense has to prove there was no knowledge in order to raise this challenge. The law becomes confusing when the numerous exceptions are described. Any person who is carrying or transporting to and from formal or informal target practice, a sport shooting event, hunting or hunting classes is allowed to do so provided the gun is unloaded and carried in a case or holster. Transporting is also legal if it is done to and from a repair shop, the place of legal purchase, and between bona fide residences of the person. A person may also transport the gun between his or her residence and place of business. There are other less common exceptions, but the bottom line is that it’s legal to transport a gun unless it’s illegal, which makes for a highly confusing and dangerous law wrought with flaws and questions. The biggest flaw of this confusing statute is that police officers out on the street rarely understand its intricacies. A cop who finds a gun in a car would just assume arrest the driver and let the court system handle the case than to actually investigate the facts. We have seen numerous cases where out of state residents from places with more reasonable firearm laws have been arrested for simply driving through Maryland with a gun in their car. In almost all of these cases the gun was unloaded and in the trunk, and in many cases the defendants were driving to and from a residence, which under the statute is legal. But cops on the scene rarely ask the right questions, and few defendants know the law. The result of these stops is usually an arrest for a serious criminal offense that carries a 30-day minimum mandatory jail sentence and a maximum sentence of up to 3 years. 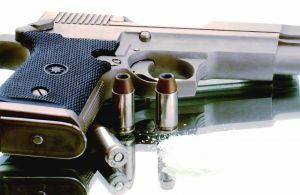 If you or a loved one has been charged with transporting a handgun contact The Herbst Firm for a free consultation.